May 4th marked the first-year anniversary of this blog. 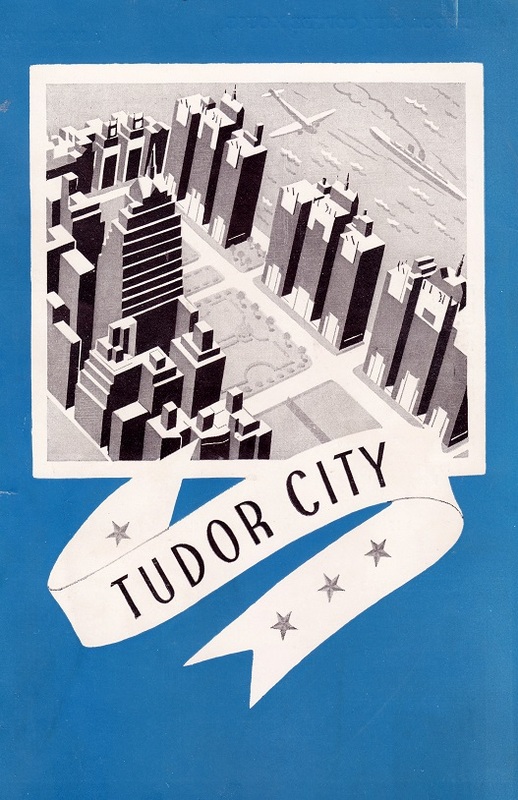 To celebrate this gala occasion, all posts this week will be devoted to our favorite subject, the Tudor City Sign. 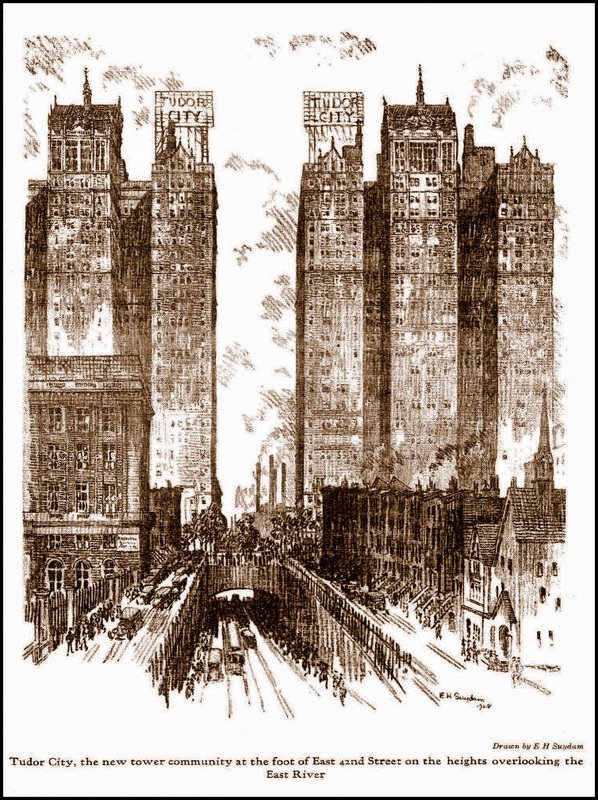 Following, the complete, unexpurgated saga of the rise and fall ‒ and rise and fall again ‒ of this storied structure. 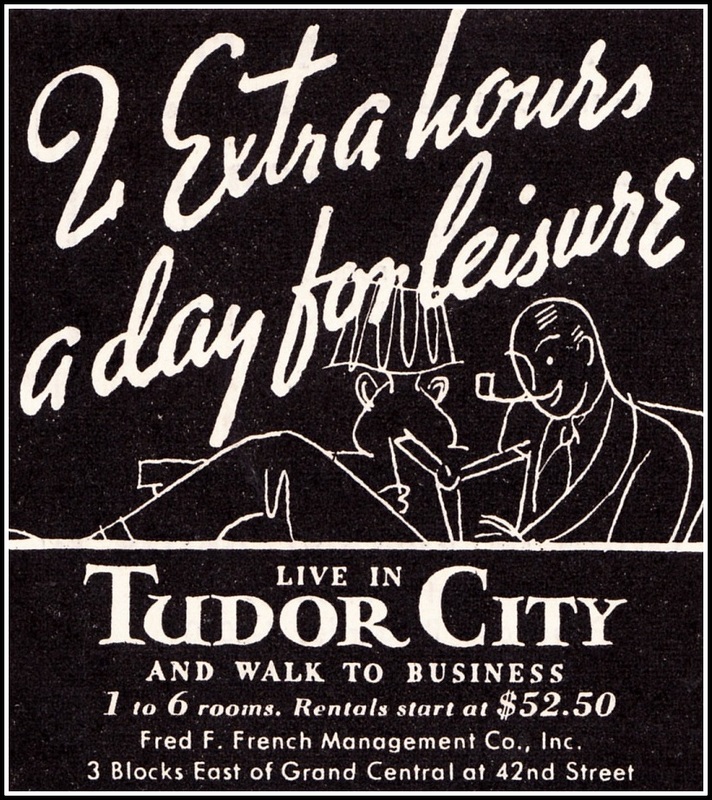 The Tudor City sign first lights up in late 1927, concurrent with the opening of its home base, Prospect Tower, No. 45. 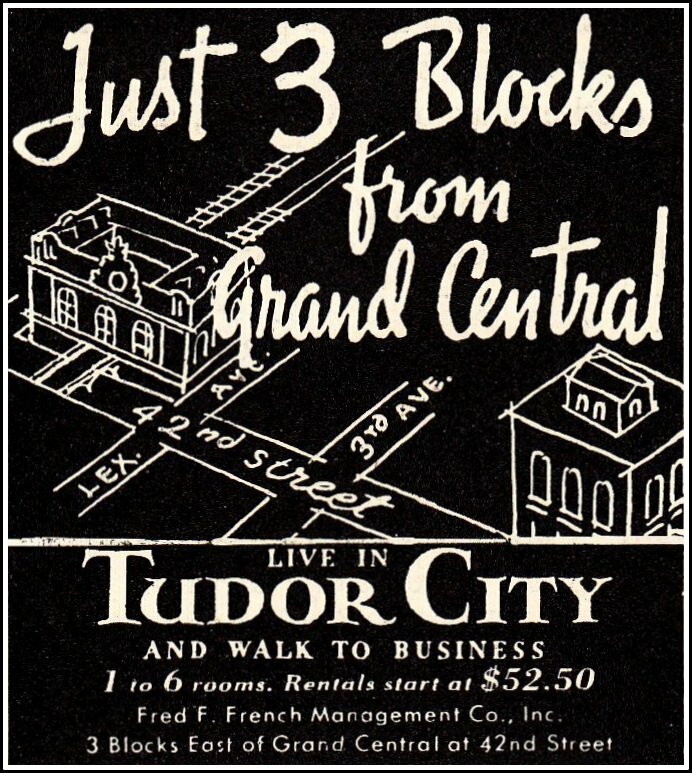 It never appears on the original renderings that the French Company prepares for Tudor City, suggesting that it's an impromptu, last-minute addition ‒ and a temporary thing to be removed once all of the apartments are rented. 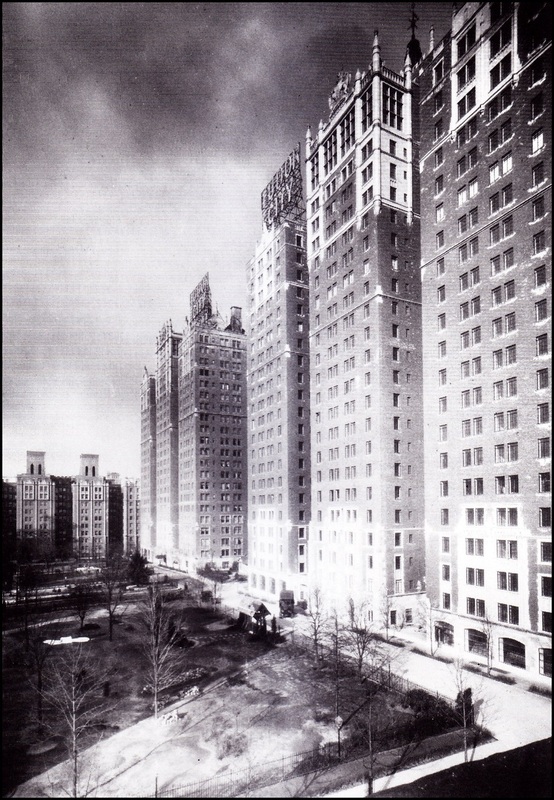 But Fred French is impressed by its striking presence on 42nd Street. 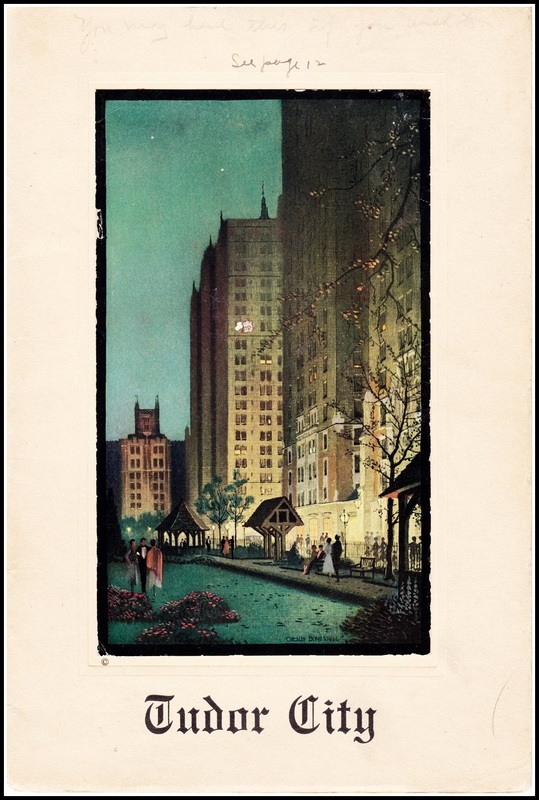 Illuminated by white incandescent bulbs, it can be seen clearly from Grand Central Station, and the message to its commuter audience is just as clear: If you lived here, you'd be home by now. Fred French orders a twin sign installed across the street on the rising No. 25. 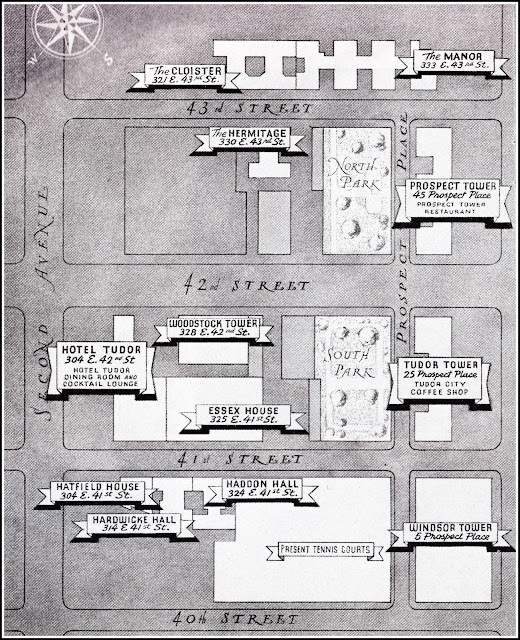 Above, artist rendering of both signs in 1928. No. 25's sign has a short lifespan, however. 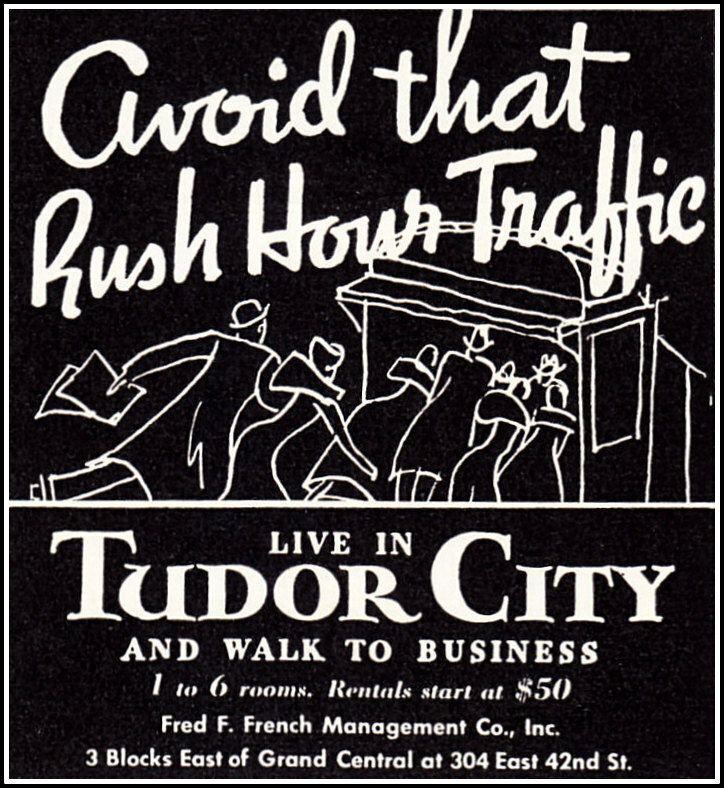 After the 32-story Woodstock opens in 1929, the sign is obscured from view (below) and removed around 1933. 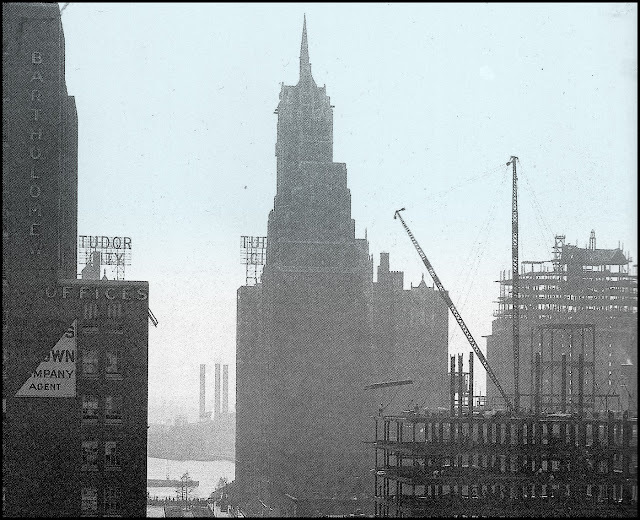 Photo taken from the Chrysler Building, 1929. Bottom right, the Daily News Building under construction. In 1939, the remaining sign is retrofitted by the Claude Neon Lights Company with neon tubes in "fluorescent old gold," the same classy shade used for the letters on the RCA Building in Rockefeller Center. Reinvigorated and looking good, the sign shines on for another decade, even as impending disaster looms.